FRISCO, Texas (Nov. 13, 2017) — US Youth Soccer, the largest youth sports organization in the United States, is pleased to announce a number of senior leadership appointments to evolve the association into a growth-oriented, member-centered organization. Key changes, effective immediately, include the appointment of four Regional General Managers to accelerate membership growth, development and delivery of best-in-class programs and services to US Youth Soccer members in their respective areas of the country. Gregory Smith is appointed General Manager, East Region. Smith brings a wealth of knowledge and nearly 20 years of experience in youth soccer, most recently as the Executive Director for the Maryland State Youth Soccer Association and its 65,000 players. Chris Duke is appointed General Manager, Midwest Region. Duke joins US Youth Soccer from the Kansas Youth Soccer Association, where he served as Executive Director, a position he held for the past four years. In addition to his administrative background, Duke also has experience as a director of coaching for multiple prominent clubs in the Kansas City area. Tom Condone is appointed General Manager, South Region. Condone most recently served as the Executive Director of the Alabama Soccer Association and is a member of the National Soccer Across America Committee. Under his leadership, Alabama has doubled its youth membership and created many innovative new programs to promote player development. Marley Wilson is appointed General Manager, West Region. Wilson has held several positions with the Colorado Soccer Association, including his latest role as Chief Operating Officer. Wilson has experience on both the administrative and technical sides of youth soccer and he also served as commissioner for the US Youth Soccer Far West Regional League’s Desert Premier League. US Youth Soccer has also appointed Paul Luchowski to the position of Leagues Program Director, which will oversee and manage the entire vertically-integrated leagues program across the country. This will include the US Youth Soccer National League, which Luchowski has led as commissioner since its inaugural season in 2007, as well as US Youth Soccer regional and sub-regional Leagues. In addition to his role as National League commissioner, Luchowski held the same position with the US Youth Soccer Midwest Regional League which experienced significant growth during his tenure from 2004-2017. In his more than 30 years in US Youth Soccer and the United States Soccer Federation, Luchowski has worked with individuals from within all areas of the organization — teams, clubs, coaches, referees, administrators and staff. These leadership appointments follow US Youth Soccer’s recent bylaw changes proposed by the board of directors and ratified by the membership at its Annual General Meeting this past July. The changes transition all financial, programmatic and operational functions of the association from volunteer-elected positions to the direct oversight and purview of the US Youth Soccer CEO. “Today’s announcement reflects our confidence in the best-in-class leadership abilities of Greg, Chris, Tom, Marley and Paul, who are all highly effective, accomplished leaders with an impressive track record of delivering growth and program excellence in the youth soccer marketplace,” Moore said. From its humble beginnings in 1974 with just more than 100,000 registered players to its current registration of more than 3,000,000 players between the ages of 5 and 19, US Youth Soccer has always been recognized as a leader in youth sports organizations. 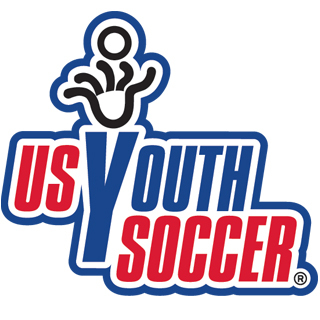 US Youth Soccer is the largest member of the United States Soccer Federation, the governing body for soccer in the United States, and is made up of over 600,000 volunteers and administrators and over 300,000 dedicated coaches; most of whom also are volunteers.